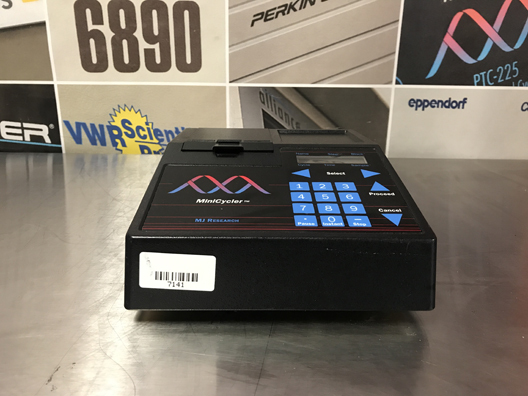 The Mastercycler X50p is equipped with a combination of speed, flexibility and PCR optimization for research PCR applications and standardization for routine PCR applications like food testing. With its new touch screen concept, all the benefits are at the user’s fingertips. with .2ml 96-well Satellite Block Unit. Data storage is secured and hassle-free with MJ Research PTC-100 thermocyclers. Memory stores approximately 320 programs, and the cycler comes with 14 pre-programmed protocols. Any sequence of temperatures can be cycled up to 10,000 times. Ramping rates less than maximum can also be specified. 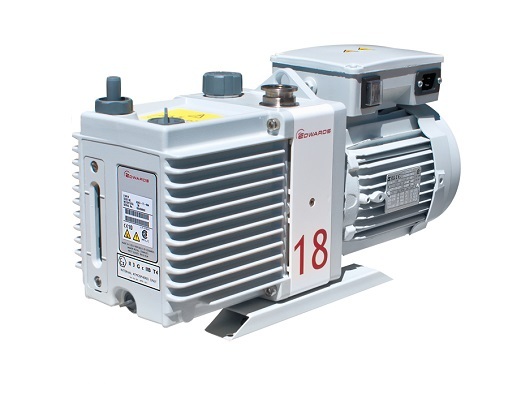 Data which were not properly stored due to power interruptions are safe for up to twelve hours with the PTC-100's power-failure protection feature. Dimensions (H x W x D): 45 in. x 30 in. x 39 in. 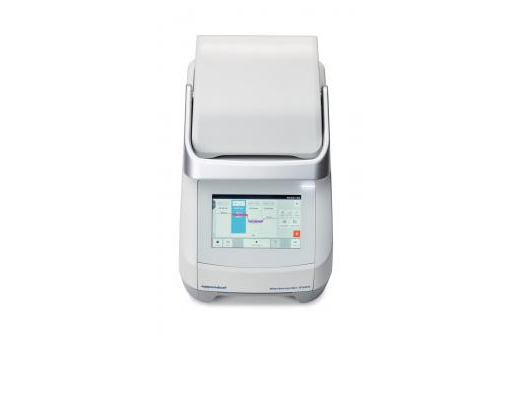 The MJ Research PTC-150 MiniCycler is a reliable easy-to-use thermal cycler, designed by field experts. 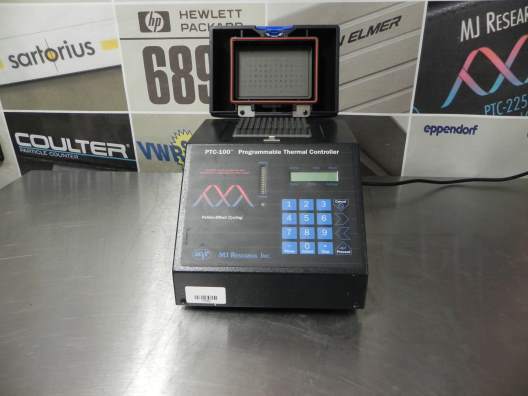 Users can take advantage of the PTC 150's easy-to-read programming interface. The MJ Research thermal cycler can also perform programming tasks as quickly and hassle-free as possible. Instrument set-up and transportation can be done with ease as well with the MiniCycler's space-saving design. 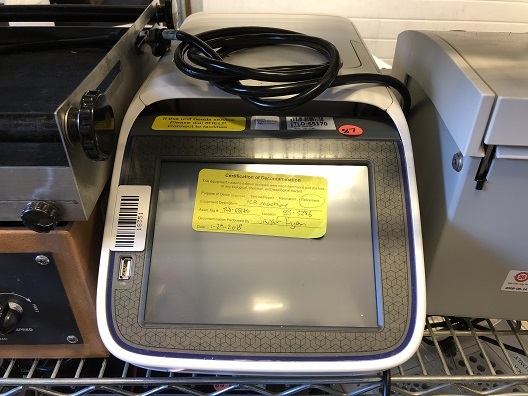 Other notable capabilities of the PTC-150 are the Instant Incubate feature for continuous-temperature incubations and oil-free cycling as a result of using a Hot Bonnet heated lid. 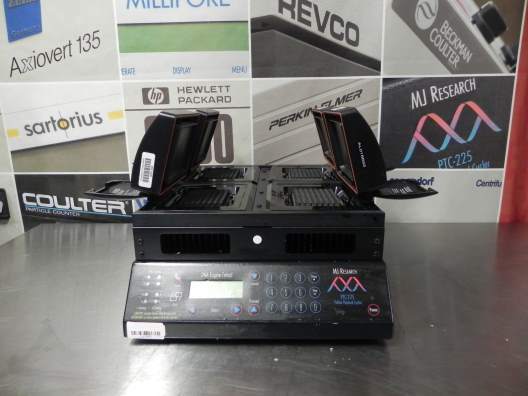 The MJ Research PTC-225 is an innovative thermal cycling system capable of simultaneously running four individual sample blocks without compromising accuracy and performance. This reliable Tetrad system is ideally suited for labs with high throughput PCR applications. Additionally, the PTC-225 Thermal Cycler features a "hot swappable" block, as well as gradient and non-gradient controlled base options. Notable features of the PTC-225 include a high-density display, an on-board point-and-click software navigation, and real-time monitoring of cycling temperature. 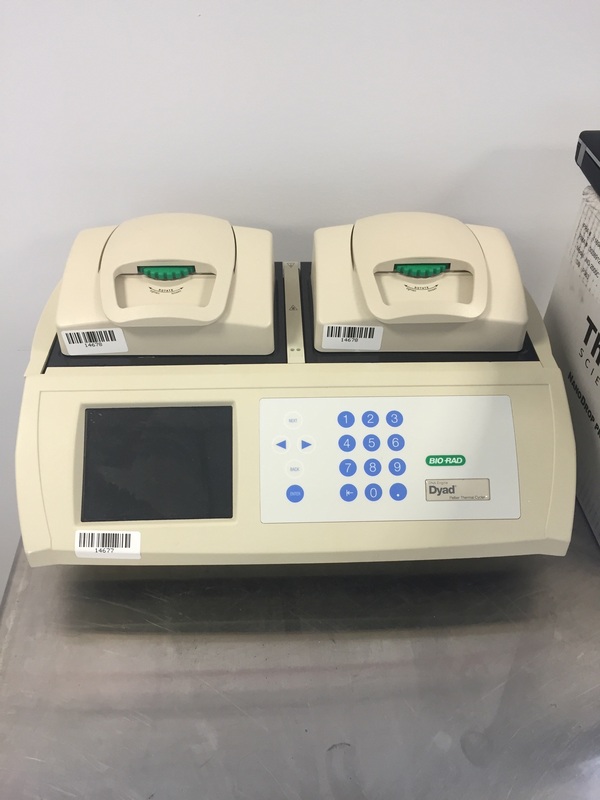 The Tetrad PTC-225 Thermal Cycler system includes the MJ Research PTC-225 thermal cycler base and four alpha blocks (96, 384, 30x30, 60x60 well).